Full day tours to Mengwi , Alas Kedaton and Bedugul very often proceed to the spectacular sea temple of Tanah Lot in time to witness the sun set behind the huge offshore promontory. Here homage is paid by Ballinese Hindus to the guardian spirits of the sea. In the 16th century the wandering pries Nirartha initiated the building ofthis temple, which has since become recognized as one of Bali’s six major 'sad kahyangan' temples. This is a full day tour. Since the target is sunset in Tanah Lot, we will pick you up at 09.30 am if your hotel location is in Nusadua or Jimbaran. While for those who are staying in Kuta, Sanur, Canggu, Ubud and Kerobokan will be picked up at 10.00 am. For those who are staying in Kuta, Kerobokan, Canggu, Jimbaran, Sanur and Nusadua, your journey to Mengwi visit the Royal Temple of Taman Ayun . It will through Denpasar city, Peguyangan, Darmasaba, Sibang, Mambal, Latu, Abiansemal and Blahkiuh village. Different route will be taken for those who are staying in Ubud. Your journey will through Sayan, Mambal, Latu, Abiansemal and Blahkiuh village. 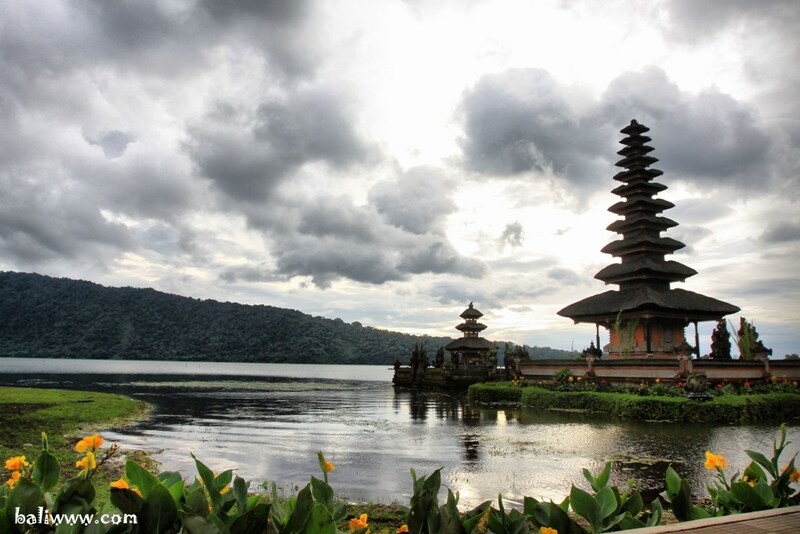 From Mengwi we shall guide you to Bedugul visit the beautiful temple of Ulun Danu that almost appears to float on Lake Beratan through Petang, Luwus, and Baturiti village. From Bedugul proceed to Alas Kedaton to see home of hundreds monkeys through Baturiti and Luwus village. From here we will keep on our journey to Tanah Lot through Abiantuwung and Pejaten village. To back to your hotel we should go through Canggu and Denpasar city. From here we will take you to your on hotel whether Kuta, Sanur, Nusadua or Ubud. 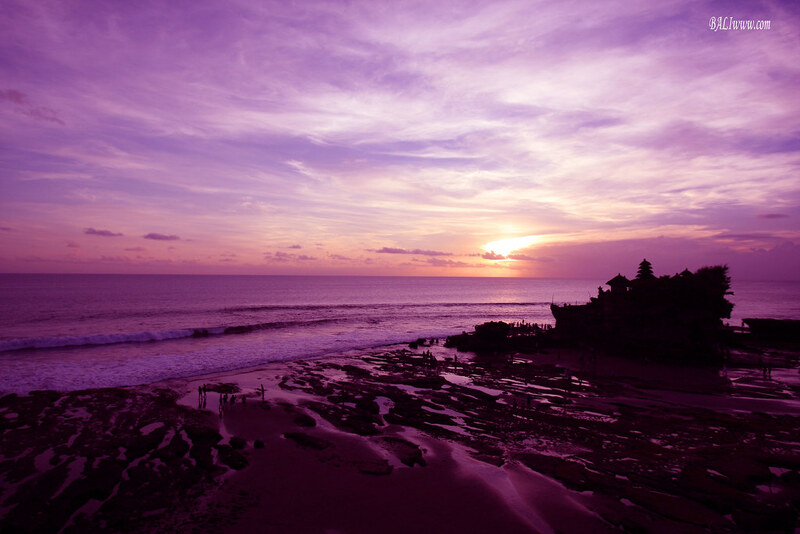 Tanah Lot with its Tanah Lot Temple, Sunset and the beach has been a legend for years. The beauty and fascinating of the veiw when the sunset is coming has been inspirated people about the almighty of the God. All are remind us of the essence of Bali as the paradise of island. The name of 'Tanah Lot' is derived from the word of 'Tanah' (means land) and 'Laut' (means sea). So Tanah Lot contains meaning of a land in the middle of the sea. In the 16th century, a Hinduism priest, a holy priest from East Java, visited the land in the middle of the sea. He was so impressed by the place and had a long meditation there. Because of the value of the place is high spiritually, then He decided to built a temple at the place in order to worship the God. Since the temple is located in the middle of the sea, it is then namely Pura Tanah Lot (Tanah Lot Temple) or a temple located in a land in the middle of the sea. This temple is guarded spiritually and phisically by many 'things'. Some of them are snakes homed at the rocks besides the path to the temple. They do not bother anyone or visitors except you do anything wrong to the place. Both moon rising or sunset is displayed perfectly from the temple at a good weather. To see the sunset view and the temple set up together you should stand out of the temple. All will create a romantic and religious situation around you. Keep quiet and let yourself being unified with the situation around you. Then say a great endless thank to the God for His bless to us. In some parts outside the temple you will still be able to see a moon rising beautifully. But the view of a moon rising should be seen from the temple. After visiting the Tanah Lot Temple, our guide will take you back to your hotel through Canggu vllage and Denpasar city. From here we will take you to your on hotel whether Kuta, Sanur, Nusadua or Ubud. You may arrive at your hotel around 07.45 pm, depends on the location of your hotel.